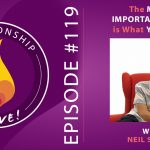 What is the secret to cultivating inspiration in your relationship? And, if you’re single, how do you find people to date who will truly inspire you to be more of who you are, more conscious, more connected? 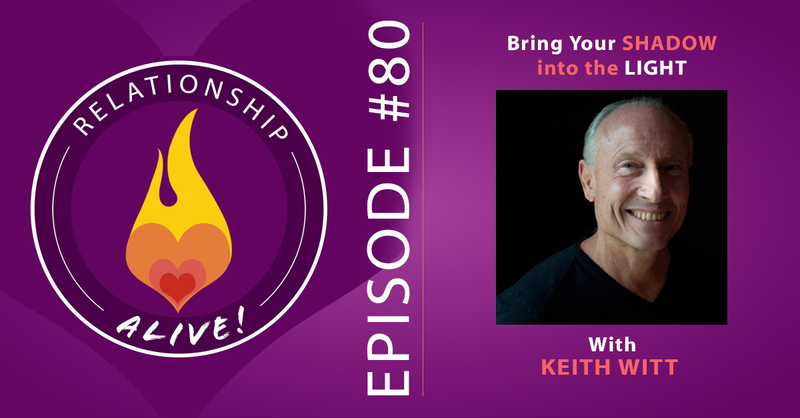 To that end – I want today’s episode to inspire you: we’re going to talk about a path to connecting with the parts of yourself that are truly your core gifts – and how to bring those into your relationship, into your dating life if you’re single, and how to connect your authenticity to the spark of passion. 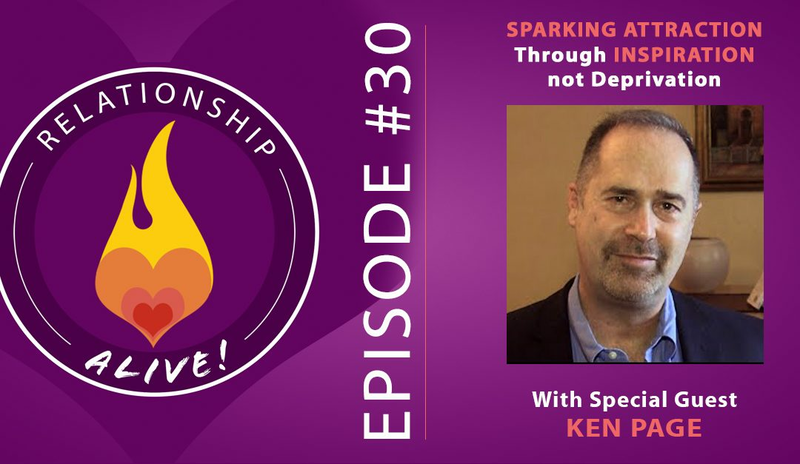 Today’s guest is Ken Page, renown psychotherapist, Psychology Today blogger, and author of the book “Deeper Dating: How to Drop the Games of Seduction and Discover the Power of Intimacy”. 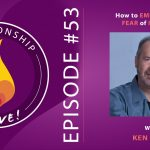 Ken’s book is one of the few books that I’ve read for the podcast that left me feeling truly moved – both by the hope that it instilled in me for single people looking for a new way to connect with others, as well as through giving me a completely new way to frame the dance of attraction within a relationship. Core gifts- The concept of core gifts helps to lead us onto a very different path to finding a partner. This concept teaches us that the very places where we are most scared of love and those parts of ourselves we think we need to hide or suppress are again and again the powerhouse of our ability to love! This can be very surprising! Common culture around dating teaches us how to airbrush ourselves, how to play hard to get, and how to change ourselves in ways to make us seem more attractive. Thickness of skin is prized in the current dating world. In this very approach you are screwed from the start, because in trying to make yourself more attractive, you freeze your authenticity and spontaneity. You further feed all of your insecurities as you learn to hate those parts of yourself where you are most sensitive. Conclusion is that the fix-yourself-to-find-love stuff just doesn’t work! The parts of ourselves that we feel most embarrassed about are our holy places. Our most sensitive parts, the ones we have been programmed to be ashamed of, are in actuality begging for liberation! Our search for love will fail if we don’t love those sensitive places in ourselves. To the degree to which we embrace those parts of ourselves, we attract partners who are more available, caring, accepting, and supportive of our whole selves. Our deepest insecurities are the markers of our greatest gifts and those gifts will lead us to the real love we are looking for! Attraction of Deprivation versus Attraction of Inspiration: You can’t force your attractions. You can’t make yourself attracted to someone, even if they are good for you, if there is not the sexual attraction. What we can do is educate our attraction. In order to do so we need to understand the differences in our circuitry of attraction. Attraction of Deprivation is that rapid falling for someone who is ultimately unavailable. That attraction to someone who is almost there, almost gets us, almost meets our needs. Often these are hot attractions and exciting, but the almost-ness goes on forever. They scratch and itch. They don’t completely feed a real need. It is important to understand and to recognize our own attractions of deprivation in order to choose partners more clearly and consciously. Attraction of Inspiration occurs when you meet someone and you are physically attracted to them, AND you are emotionally and spiritually attracted to the way that they treat you, the quality of their consistency and integrity, and by their way of being in the world. When you find someone like that, attraction is going to build in a different way. It is more like being fed from the inside. The attraction grows richer, more celebratory, and more real as time goes on. That is happiness and that is where we want to look for love! The more we support our sensitivity, the stronger we become in the world! Don’t go pursuing the hottest thing around town! Instead, find people who amplify who you are and work on your own capacity to discern who is on that wavelength with you. This discernment is the way you can be vulnerable, generous, kind, and be more protected than if you were playing games. When we learn to honor our sensitivity we gain a kind of dignity and are ultimately less hurt by rejection because our ultimate commitment is to find someone who loves us for who we are. So when we find someone who doesn’t love us for who we are, it is okay because they weren’t the right one! 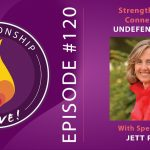 When we operate from a “how do I play this game” place then we are operating from a fear based place and will likely suffer tremendously from rejection, when we make room for our vulnerability and ask for what we need and honor what we need in our relationships we become stronger and more resilient! For everyone looking for relationship: If you can make a decision and commitment (and it ain’t no little thing) that from now on you are only going to cultivate your attractions of inspiration, then your dating life will change in profound ways. You will narrow your field but you will also deepen your field. The degree to which you honor your core gifts and only look for people that treasure what they see when you are really you, a kind of magic happens. You will start meeting and attracting different people. How to recognize your own gift zone: Your core gifts are those places in which you are the most you. You can think of them as shards of god inside you- they are those parts of you where you feel deeply. Where life touches you the most deeply. The places where your intensity and passion are very powerful for certain things. Where you desire love. Desire truth. You can ask yourself: Where has my passion run really deep in my being? Where has my sensitivity run really deep? Where have I wondered if I am too sensitive? Those are places where your antennae are exquisitely in tune for what you need and desire. What kind of interactions fill my heart? What kind of interactions hurt my heart? Take notes about certain moments and honor each one of them. After 2 days if you look at all of those points it will be like a connect the dots- you will see the themes and those places where you can be most hurt and most inspired. These are your core gifts, and where your magic lies. Notice the places where you are most hurt, as these are the places you are the most tender. The places where you are the most tender are the places where you are the most beautiful. And it is from these tender places where your love springs from! The hurt represents moments where there was a break in love and connection- and by recognizing where these occur you will build a stronger connection with yourself. Be willing to really really really ask for what you want: In every relationship there is a good struggle- a place where your partner has a really hard time giving you what you need, and vice versa. Even in our most wonderful relationships we can get hurt because we are all separate beings, and imperfect. The hurt is often amplified because most of us are not willing to really really really ask for what we want. We have some belief that if we do then we are being too selfish, or we ask in a demanding way that isn’t really coming from our place of need. Sometimes we don’t even ask at all, and instead build resentment. But when we can learn to ask from a place of real authenticity, something very different happens. This act of getting more and more vulnerable with your partner and really asking for what you need, is a very powerful thing. Ask for those things that you feel mortified to ask for! Even though it may be scary, you’ll find that it can be liberating, and Intimacy producing! Helpful to know here that research shows that when you are terrified you are most likely to feel loved. There is a high chance of REALLY GREAT PASSION on the other side of fear. Honoring: If you practice honoring the fierceness around your passions, you will get wiser about how to express your passion in the world. And when you honor the tenderness of your sensitivity, you will become so much more beautiful at how you express it and share it and live it in the world. This act of honoring allows you to open up to a blossoming of a whole new set of possibilities! 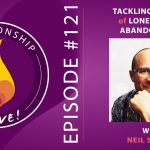 https://www.neilsattin.com/dating Visit to download the show guide, or text “PASSION” to 33444 and follow the instructions to download the show guide to this episode with Ken Page – and to qualify to win a free copy of Deeper Dating!